KRS15 tyres are great tyre choices that offer stability and responsive steering to give you the most confidence on every journey. They are extremely durable and reliable, with a great lifespan that goes a long way to proving their value. 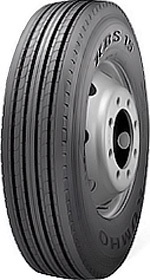 Accomodating heavier and more varying weights and protecting against wear from this factor is another benefit you can enjoy with KRS15 tyres from Marshal and they are often available at excellent prices which improves their popularity greatly.